Inter will make a move for Tottenham Hotspur linked Rodrigo de Paul if they lose Ivan Perisic to Arsenal. The 29-year-old winger has put in a transfer request to leave Inter to join Arsenal, but negotiations have not moved forward much between the two clubs. Inter are not prepaed to let Perisic to leave without a permanent solution being involved, and Arsenal only want to sign the player on a loan deal until the end of the season with an option to buy him. The two clubs have not moved the needle to find an agreement and Inter have been insistent that they have not received any offers for the player thus far. 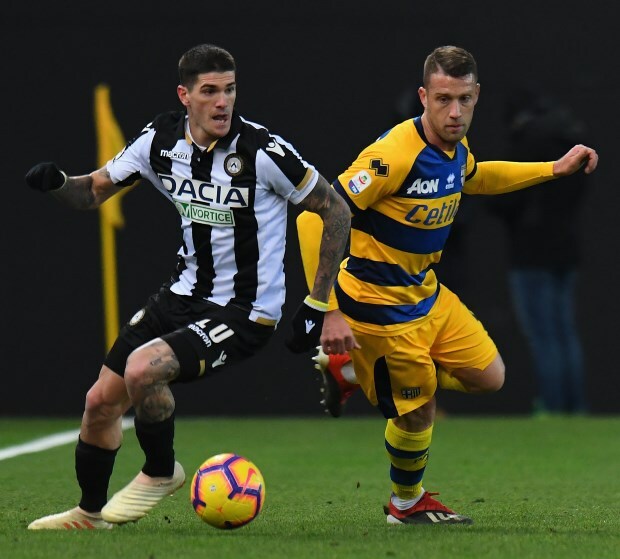 But Inter have put in contingency plans in place and according to Italian outlet Tutto Mercato, they will make their move to sign Udinese winger De Paul if Perisic leaves for Arsenal before Thursday’s deadline. De Paul has been on Inter’s radar but the club were plotting to sign him next summer. But they are prepared to change their plans if they lose Perisic and look to snap up the Argentinian winger by the end of the winter window. De Paul has also been linked with a move to England with Tottenham.